The momentum for paid sick days is inspiring. As of today, thirty-two locations in the U.S. have won such policies, bringing access for the first time to more than ten and a half million people. And that doesn’t count the millions more who already earned sick days but, because of the new laws, can now use their time to care for an ill loved one, or use it without being docked pay the first day out or getting disciplinary points for following doctor’s orders. Still, like the young Vermont girl in the photo, we all know people who live in other cities and states where these policies are being blocked. So the coalitions that won these victories decided to do coordinated celebrations and use those events to call attention to the benefits of the policy – and the need for a federal standard, the Healthy Families Act (HFA). The events ran the gamut. Connecticut hosted a forum with Verizon strikers; Vermont hosted a candidates’ forum. DC bought popsicles from a supportive business and delivered them to City Council to ask for better enforcement of the paid sick days law. Several places held roundtables. 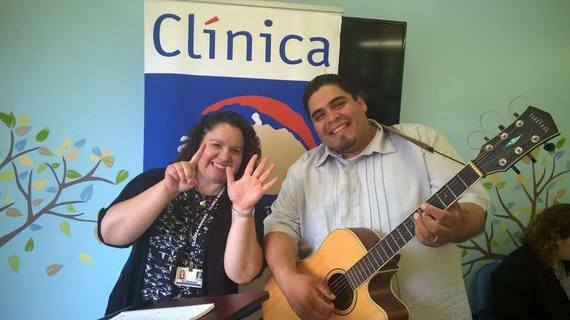 Los Angeles celebrated with music at a health clinic. Chicago, Minneapolis and Maryland used the occasion to call for passage of a city or state bill, while a Spokane gathering urged support for a statewide ballot initiative. All the events featured a range of speakers, starting with workers who previously lacked paid sick days and now know what it means not to have to choose between getting well and getting out of debt. “The right to paid sick time has allowed me to put my health first without worrying about losing my financial stability,” said Caitlin Mooney, a Philadelphia caregiver who lacked any paid sick days when recovering from a bone marrow donation a few years ago. Since passage of a law in Philadelphia, she’s been able to earn paid time off to recover from a chicken pox-related illness she contracted from the babies she now cares for. As the issue of paid sick days continues to gain momentum, the majority of Americans cite it as a top economic issue. When the only option is to be docked much-needed pay, many workers are forced to go into work sick, jeopardizing the health of their coworkers and patrons—a constant challenge for many restaurant workers, bus drivers, and other lower-wage workers who interact with the public daily. In 2016 alone, Vermont, Spokane, WA, Plainfield, NJ and both Santa Monica and Los Angeles, CA have won paid sick days victories. By the time our coalitions join together for a National Day of Action on Capitol Hill on June 15th, Chicago, Minneapolis and San Diego may win victories as well. More information on the events and the call for passage of a federal bill can be found here. It’s been an incredible year for the movement for paid sick days. These events provided time to celebrate our success, reflect on the work still to be done, and call attention to the need for a national solution to build on the local wins. As Lois Whittmore, Board Member of Community of Vermont Elders and AARP VT, put it at one event: “everyone in this room is someone’s child, and everyone in this room is also a rising senior. The problems are just as acute for providers caring for elders as they are for people caring for our children.” Paid time to heal and to help our loved ones heal is essential to our nation’s success and well-being. Here’s to many more victories in 2016.